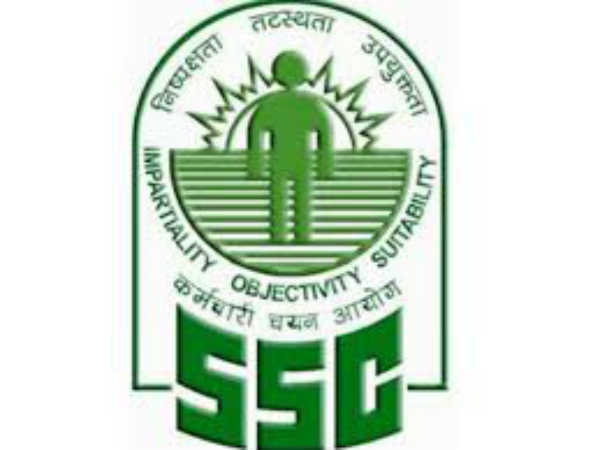 The Bihar Public Service Commission (BPSC), under the Govt. 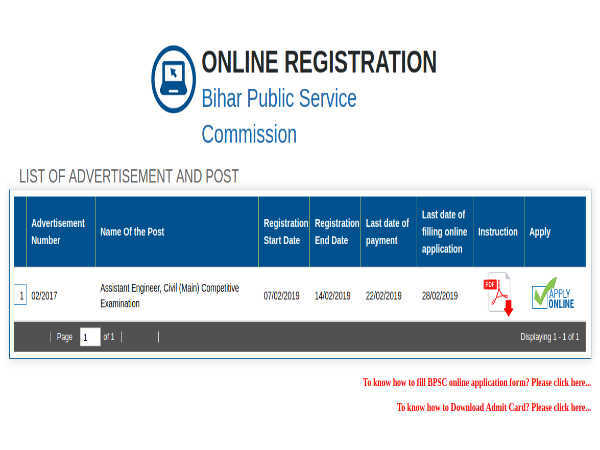 of Bihar, has invited online applications from eligible Indian nationals for filling 1284 vacancies to the post of Assistant Engineers (AE) Civil to be appointed in multiple departments across the State. The online registration process towards the same will start from 07 February 2019 and close on 14 February 2019. All applications following the registration must be submitted on or before 28 February 2019, and hard copies of the application form and supporting document must be submitted on or before 08 March 2019 by 5 pm. The recruitment will be under various departments of the Bihar Government comprising Path Construction Department, Public Health Department, Minor Water Resources Department, Department of Water Resources, Building Construction Department, Rural Work Department and Planning and Development Department. Desirous candidates applying for the post of Assistant Engineers (AE) Civil through BPSC Recruitment 2019 must have attained 21 years of age as on 01 August 2017 and not exceeded 37 years (Male-Gen), 40 years (Female/OBC/EBC) and 42 years (SC/ST/PWD) in the upper age limit. All other category candidates, other than SC/ST/ PWD and Women domiciled in Bihar, must pay a specified amount of Rs. 750/- as application fee through online (Internet Banking/Debit/Credit payment gateways)mode and other means as specified in the notification given at the end of the article. SC/ST/ PWD/Women candidates domiciled in Bihar must pay Rs. 200/- as application fee. Desirous candidates applying for the post of Assistant Engineers (AE) Civil through BPSC Recruitment 2019 must possess a Degree in Civil Engineering recognized by a University/Institute. 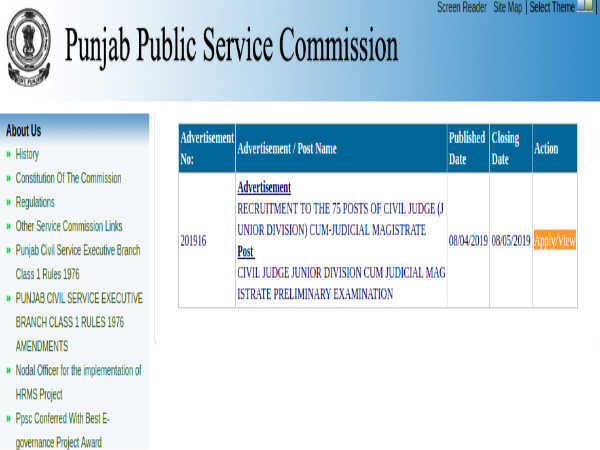 The selection of candidates as Assistant Engineers (AE) Civil through BPSC Recruitment 2019 will be done based on a Written Examination of competitive nature and Interview as detailed in the notification given at the end of the write up. Candidates selected as Assistant Engineers (AE) will be paid as per the BPSC rules. 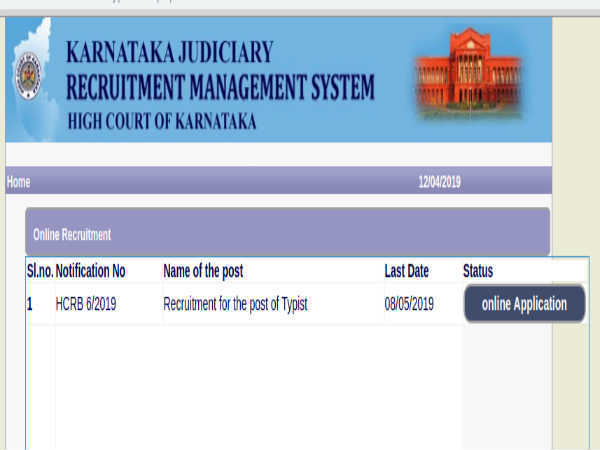 Candidates applying for the post of Assistant Engineers (AE) Civil through BPSC Recruitment 2019 must first register online on or before 14 February 2019 and submit their applications following the registration on or before 28 February 2019. Candidates are required to take a printout of their application forms post submission and send the same along with copies of supporting documents/certificates to the, "Joint-Co-Examination Controller, Bihar Service Commission, 15, Jawaharlal Nehru Marg (Belly Road), Patna - 800001" on or before 08 March 2019 by 5 pm.